Press Release---It’s official. People can’t get enough of superheroes. Just looking at how much money the Avengers movie has raked in at the box-office, you know without a doubt that we are in a new age of superhero love. All the caped crusaders, cosmic characters and crime fighters we grew up with have taken on new faces and forms, and they are everywhere! In movies, on TV, in video games, theme parks and countless merchandising; the best and the brightest of our childhood memories have been ushered into a new age of Hollywood, and, baby, nothings ever going to be the same again! 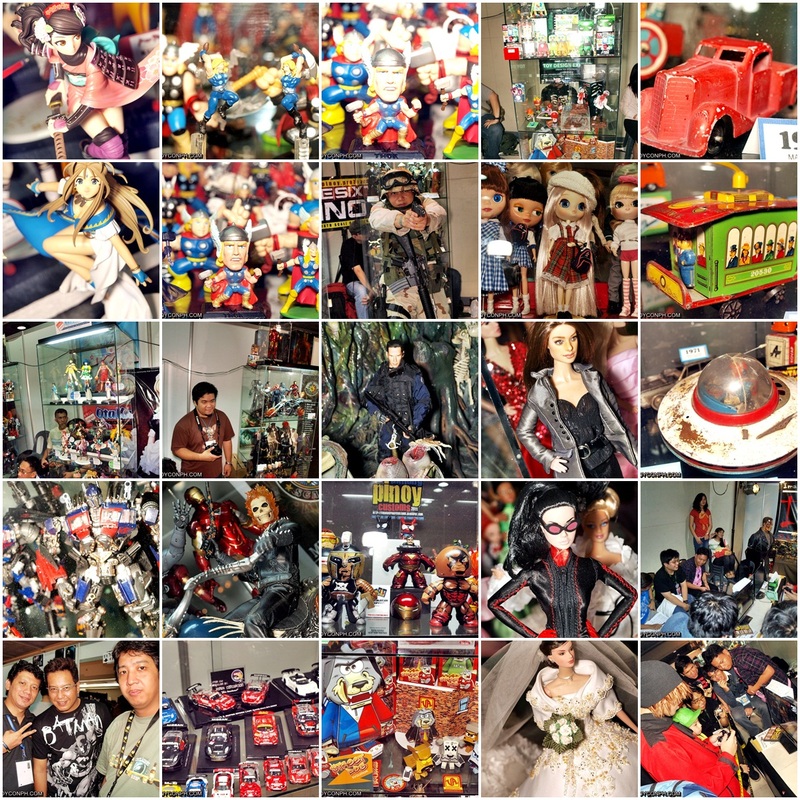 The Philippine TOYCON has been the benchmark of all fan gatherings for the past 10 years, exceeding attendance records each year and highlighting the best of all things pop-culture including movies, anime, comics, gaming and of course pop-culture collectibles and memorabilia. Waiting in the wings of greatness is the final installment of the Batman saga, with Christopher Nolan’s ultimate chapter in the Dark Knight trilogy, The Dark Knight Rises. Warner Brothers launches excitement for the movie with an exhibit of original movie props and costumes and DC Comics launches its new line of Dark Knight-related merchandise, apparel and toys. Other movies like The Bourne Legacy, Flight of the Guardians and The Hobbit will also be featured. Also in anticipation of the upcoming GI Joe: Retaliation movie and the 30th anniversary of GI Joe action figures, members of the Philippine Toy Soldiers 118 will put together the biggest GI Joe action figure diorama playset in the Megatrade hall 2. ABS CBN Interactive also brings on the biggest gaming event of the year, Amped Fest 2012. Amped Fest in ToyCon 2012 will serve as the venue for the launch of the most awaited Relic of Mystra and Version 4 releases of online gaming flagship brands, Shaiya and WarRock. The new gaming roster for 2012 as well as an Android and java mobile gaming portal will also be unveiled. GM Barbie Lee and a host of other models will also cosplay favourite Amped characters. Kapamilya (ABS-CBN Channel 2) celebrities will also make special appearances for the Kapamilya gamers. Amped Fest will also serve both the culmination of Netopia Cafe Wars and the opening of JBlaze Cup 2012, where winners are sent to Korea to compete with other international online gaming champions. The convention also brings together the best assembly of local and international artists to exhibit much anticipated work. Seattle-based Hawaiian designer Arron “Angry Woebots” Martin shows off his brand of pop graffiti and design in an exhibit of his world famous panda art which has graced museum walls, skateboards, vinyl figures and books. Friends from Komikon will also bring in the best of our very own roster of artists: Heubert Khan Michael, Lui Antonio, Gilbert Monsanto, Lyndon Gregorio, Ariel Atienza, Lei Muncal, Jon Zamar & Sherry Zamar. The artist panel will be on hand to sign comics, do sketches and fan art and sample the best local indie and mainstream titles. The biggest crowd drawer for the convention is cosplay, and this year all costumed heroes revolve around the Cosplay Universe. The Philippine Toycon features a huge space where cosplay fans can enjoy photo-ops in six huge themed exhibit spaces: The Anime Planet, Superhero Stars, Movie Nebula, Toy Supernova, Gaming Galaxy and Kids Constellation, all of which make up the Cosplay Universe. 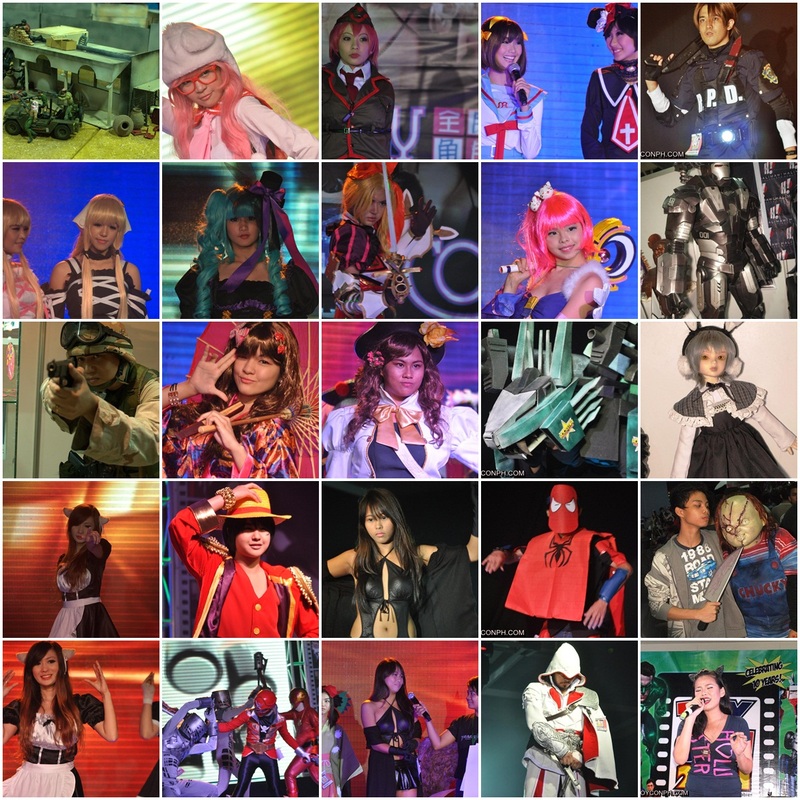 Aside from being photo backdrops, the Cosplay Universe will also be the biggest Cosplay competition in the country which will feature celebrity guest judges from the international Cosplay circuit and where contestants vie for big prizes in six cosplay categories. 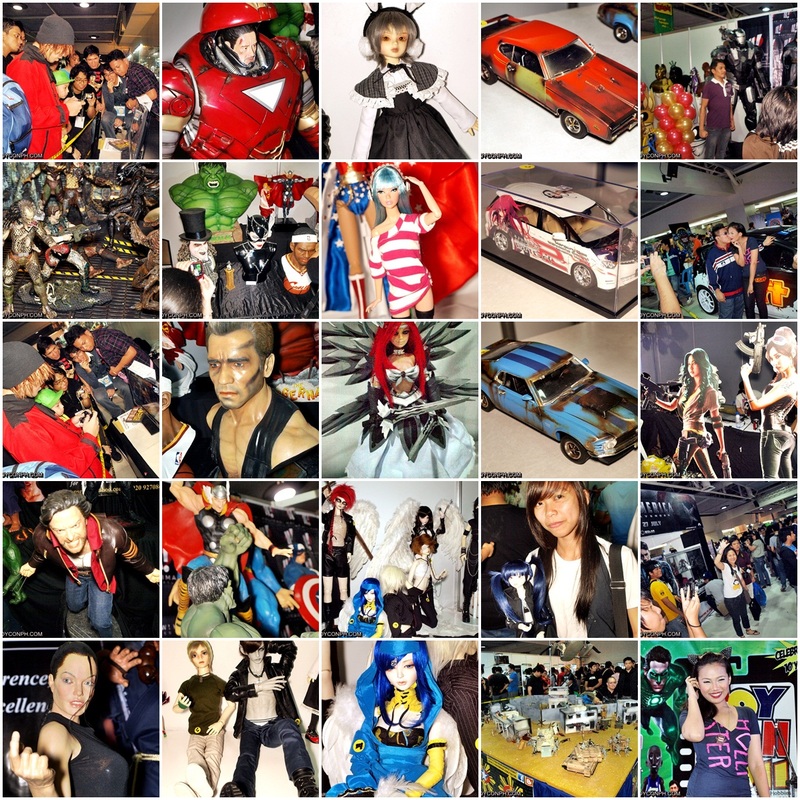 The TOYCON would not be complete without the biggest gallery of toy collections from all over the Philippines which will highlight the best and latest action figure releases and the most amazing customized toys, statues, dolls and high end collectibles. 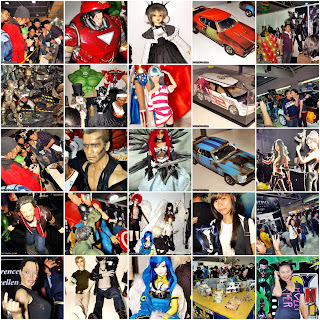 The TOYCON Gallery will be held inside the Megatrade function rooms which will serve as the museum of the event. The event’s main draw is the huge dealers’ floor where anything and everything pop-culture can be found and purchased at bargain prices. Almost 180 booths will be open to sell pop apparel, cosplay accessories, superhero merchandise, fantasy and sci-fi collectibles, comics, cards, and of course, all sorts of toys overflowing from action figures, transformers, diecast cars, robots and high-end statues and 1/6 scale Hot Toys. Get ready for loads of prizes to be given away on various competitions, games and contests. 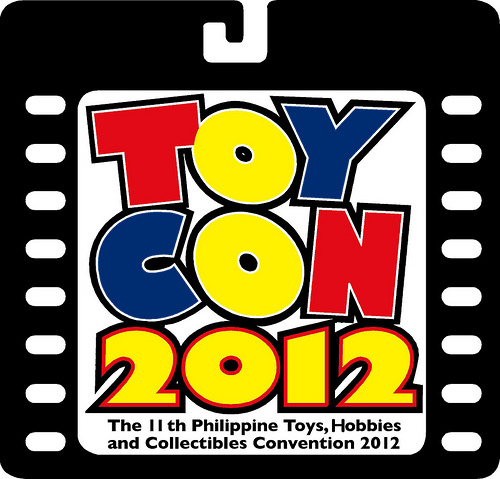 There will also be hourly raffles and exclusive giveaways for lucky TOYCON attendees. 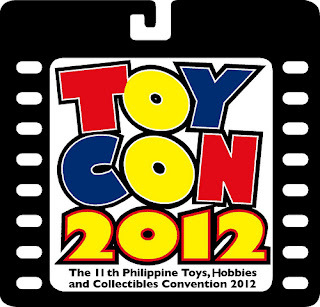 Aside from those, the convention will feature surprise guest celebrities from ABS-CBN, band performances, live auctions, film-showings and panel discussions from the best toy collectors from the local toy groups and customizers. The 11th Philippine TOYCON 2012 opens its gate on Friday, June 15, with a special Retailers Day were collectors can already start buying their favorite toy collection pieces, and continues on through Father’s Day weekend on June 16 and 17 from 10:00 am to 9:00 pm at the Megatrade Halls 1 to 3, 5th level of the SM Megamall, Mandaluyong City. The 11th Philippine TOYCON is presented by Collectibles Unlimited and co-presented by the Megatrade Hall, SMART, DC Comics, HERO and AMPed. Major sponsors are Maxi Collector, Toy Kingdom, ABS-CBN Licensing and Publishing, Warner Brothers, and Solar-UIP. Minor sponsors are Comic Odyssey, Sugar Free and Blue, CIIT, Buhawi Studios, Big Boys Toystore, Great Toys, Psicom and Freshgear. Media partners are ABS-CBN, Studio 23, 99.5 RT, Magic 89.9, 88db.com and Flipgeeks. Event partners are Anime Alliance, Komikon and Larc En Ciel Fan Club Philippines.